You know what needs to be done: save nature and end the biodiversity crisis. What you might not know is how we’re going to do it. The best contemporary science and traditional wisdom tell us that nature needs half. That may seem like a lot, but we have a plan for how to get there and transform the way society thinks about nature. Nature Needs Half is an international coalition of scientists, conservationists, nonprofits, and public officials defending nature at the scale she needs to continue to function for the benefit of all life. And we've got a global ground game in place that will protect 50% of the planet by 2030, turning the tide in favor of Earth's life support systems and transforming society's relationship with nature, one ecoregion and country at a time. 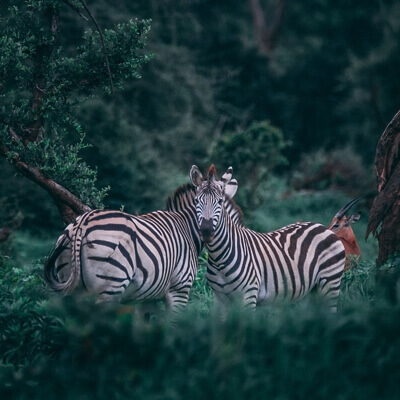 Scientists call for a "Global Deal for Nature"
We can stop the sixth mass extinction if we protect approximately 50% of each the 846 ecoregions that provide habitat for all of Earth's biodiversity. That means finding leaders and organizations around the world willing to align existing efforts around protecting and interconnecting nature in their region. Become a member of Nature Needs Half and take the first step towards building a coalition in your region. Protecting 50% of the planet by 2030 requires strong coalitions in every country, coalitions that support protecting and connecting nature in each region. Discover how you can help. Our movement grows with each new signatory. Foster new opportunities to work across political and institutional boundaries by joining the Nature Needs Half Network today. Since 2009, Nature Needs Half has empowered others to take action for nature. Discover more about the movements current leadership. Advancing a new model of rainforest conservation led by Indigenous tradition, the Kayapo Indians implemented the most successful conservation effort in the tropics. They are the true guardians of the rainforest. Strengthening awareness and support for India's natural heritage, Sanctuary Asia is India's oldest and leading nature and conservation portal, serving as a powerful connective tissue for coordinating India's environmental movement. Parvati.org is dedicated to a healthy world. Their first order of business is the swift realization of MAPS: the Marine Arctic Peace Sanctuary. Their long-term vision is GPS, the Global Peace Sanctuary, to address hunger and poverty internationally. The Nature Needs Half movement is only as strong as its member organizations. Discover more about the individuals and organizations who have committed to protecting 50% of the planet by 2030.